Lily of the Valley (Convallaria majalis) likes deeply-dug soil that is rich and full of compost. 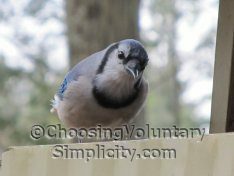 It grows best for me in shade or part shade and in somewhat moist soil. 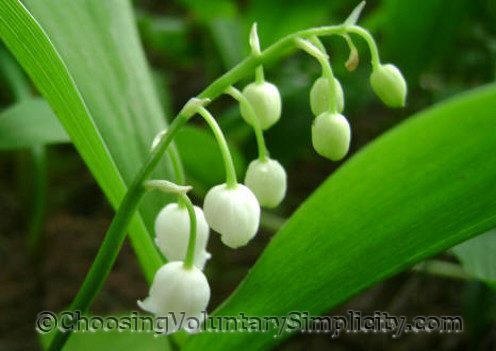 Lily of the Valley is an herbaceous perennial… the rhizomes spread underground and form colonies. Each flowering stem has two leaves and up to fifteen flowers. Bloom time for these plants is early spring, and when they are in full bloom the sweet scent of the flowers is almost overwhelming. The little bell-shaped flowers are beautiful, though… especially with so many of them all grouped together. I have three huge patches of Lily of the Valley growing where I planted them… and almost as many more plants spreading out into areas where they should not be. Many have spread out into the stone path around the flower gardens and will have to be moved, although I know from past experience that if I accidentally leave even small portions of roots, there will be even more Lily of the Valley plants in the path next year. Caution: All parts of this plant are highly poisonous if ingested. Absolutely lovely photo! Just another reason why I keep coming back to this site. We have a huge patch that grow every spring in a walkway towards our neighbors. 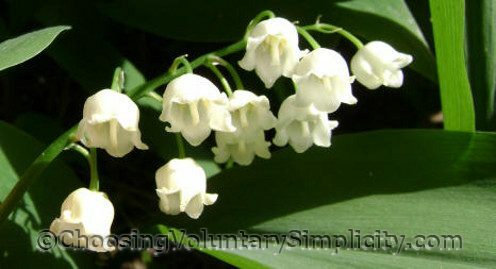 I LOVE Lily of the Valley’s, they are my favorite flower…doesn’t hurt that they are also the flower for the month of May, the month I was born. But I learned that long after I fell in love with them as a little girl.